Hamza Yusuf is no friend of mine. He does not like me nor do I like him. Thus, the feeling is mutual. This was not always the case. Despite some concerns regarding his political positions and some suspicion regarding his financial supporters, I was initially a supporter of Shaykh Hamza. I found it refreshing that he was teaching the traditional, mainstream Islam of Ahl al-Sunnah wa-al-Tasawwuf. I found it sickening that the world was subjected to Salafi-Wahhabi-Takfiri propaganda for so long. 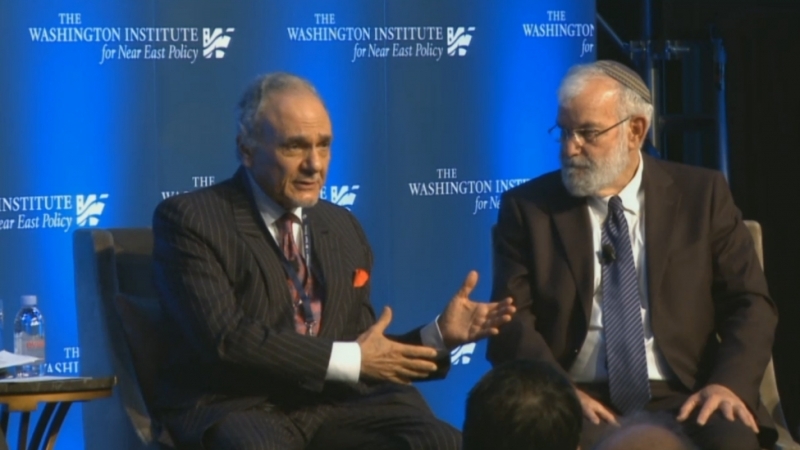 I was also pleased to see an American Muslim scholar assume a position of leadership in the Western world. Unfortunately, my attitude toward the man came full circle due to his action and inaction. We were first introduced at a dinner in honor of Muslim scholars at the Revival of the Islamic Spirit Conference in Toronto, Canada, in December 2013. I was introduced to him as an Aboriginal Canadian, and member of the Métis Nation, who had embraced Islam at the age of 16. Whether it was my long hair that flowed down my shoulders, my green eyes or my light skin, Hamza Yusuf looked at me incredulously with a sly smirk on his face, ignoring, perhaps, that Amerindians do not share a stereotypical phenotype and that the Michif-Ottipemisiwak, like many other First Nations, are a mixed-race people, in our case, a combination of French and Indigenous ancestry which is at the root of our ethnogenesis. “I heard a lot about this book,” he admitted, when I gave him a copy of The Covenants of the Prophet Muhammad with the Christians of the World. Although it had only been published two months earlier, word had already spread far and wide about the book in the scholarly community. “My colleague, Charles Upton, wrote to you,” I pointed out. “Yes, I received his email,” responded Yusuf. “But you never responded to him,” I noted, leaving him speechless. As a Muslim scholar, he knew full well, as I did, that responding to sincere correspondence was an Islamic obligation, particularly when it came from a distinguished personality like Charles Upton, an American legend in literary circles. Although his fame as a Beat poet eclipses his accomplishments as a Sufi Muslim writer, he is nonetheless notable for his contributions to Islamic spiritual thought and social criticism. That was the gist of my personal interaction with Hamza Yusuf. Although I was reticent to meet with him, was suspicious of his close association with obscenely wealthy Gulf Arabians and his interaction with George W. Bush, I was prepared to put my previous impressions aside and give the man a chance. Unfortunately, my initial concerns were confirmed. Hamza Yusuf came across as arrogant as if he thought “Who the hell is this guy to be introduced to the likes of me?” I observed, in disbelief, how he surrounded himself with a huge entourage of followers, admirers, and bodyguards, signing autographs for his young female groupies, when scholars of far greater importance, distinguished diplomats, and even princes appeared in public without security details by their side. Hamza Yusuf acted as if he was some sort of head of state. Frankly, I found it pompous and unbecoming of a Muslim cleric. 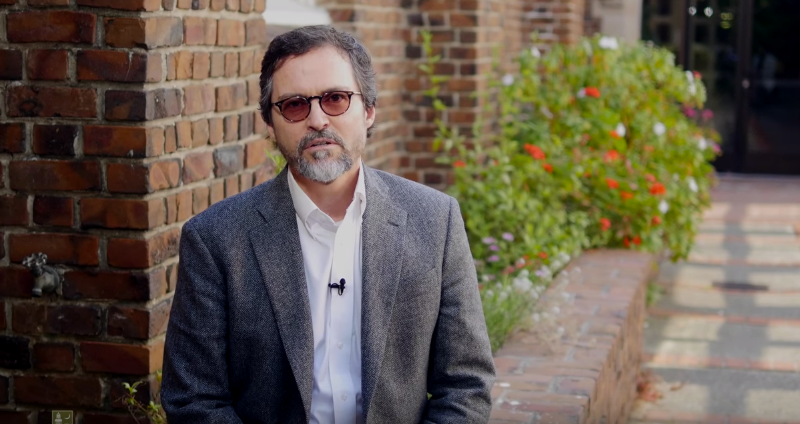 Shaykh Hamza Yusuf at the Zaytuna campus in Berkeley, California. In response to the controversy about Yusuf’s comments on Black Lives Matter at the 2016 RIS conference, his long-time colleague and cofounder of Zaytuna College, Imam Zaid Shakir, said, “Most significantly, like all of us, Shaykh Hamza can just plain get things wrong. What is indisputable, however, at least in the hearts and minds of anyone who knows him, is that Shaykh Hamza is not a racist.” This may all be true, however there are principled inquiries about who Yusuf chooses to (and not to) publicly associate with. In short, the Covenants Initiative merely reiterates our commitment, as Muslims, to abide by the treaties and promises that the Prophet Muhammad (pbuh) made with the People of the Book. Whether it was dislike for my person, a desire to protect his turf or his own popularity, opposition to my religious and political positions, or the bidding of his financial backers, Hamza Yusuf refused to endorse The Covenants of the Prophet Muhammad with the Christians of the World and refused to sign the Covenants Initiative. For many Muslims, this speaks volumes. If Shaykh Hamza had scholarly reservations regarding the authenticity of the covenants of the Messenger of Allah (pbuh) with the Christians and Jews, he was within his right to refuse to back the book and the international movement that it inspired. If that was his position, then an evidence-based academic refutation would have been in order. If he was unconvinced, one way or the other, then he could have adopted a position of neutrality. In other words, “I agree with the spirit of the Covenants of the Prophet; however, I have reservations regarding their genuine nature.” The Tsar of Zaytuna, however, has actively opposed the Covenants of the Prophet and should be called to account. In fact, several attempts were made by faculty members at the first accredited Muslim undergraduate college in the United States to invite me to lecture on the Muhammadan Covenants. Numerous other attempts were made by outside parties who wished to give me a platform at Zaytuna. All such efforts were scuttled by the Berkeley-based bey. Yes, despite his veneer of tolerance, the savvy Shaykh harbors anti-Shi‘i sentiments. How can he preach about coexistence with non-Muslims when he cannot even stand Muslims who do not share his understanding of historical events surrounding the succession of the Prophet (pbuh)? Strangely, Shaykh Hamza’s mentor, al-Habib ‘Ali al-Jifri is a strong believer in Sunni-Shi‘i unity and works well with Zaydi and Twelver Shi‘is. In fact, he urges Muslims not to speak of Sunnis and Shi‘is but of Muslims and fellow human beings. Rather than embrace and appreciate the full spectrum of Islam, Shaykh Hamza espouses a narrow vision of Sunnism and Sufism in which anyone who strays from the prescriptive positions of Abu Hamid al-Ghazzali has fallen outside the fold of Islamic orthodoxy. People like Ibn ‘Arabi, Ibn al-Farid, Fakhr al-Din Ibrahim ‘Iraqi, and Mulla Sadra have no place in the myopic mysticism and narrow Gnosticism of Hamza Yusuf. So, in addition to his lack of support for the Covenants, he tends to stifle the natural growth of Muslims in the West through presenting a narrow and one-dimensional version of Islam, commodified for the choir of conservative Sunnis. 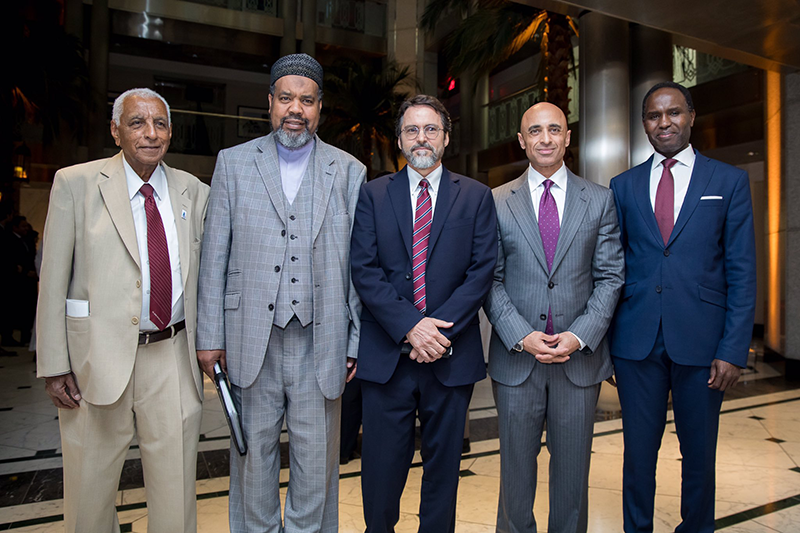 Ambassador Yousef al-Otaiba, second from right, hosts interfaith Iftar at the UAE embassy in Washington, DC with prominent Christians, Jews, and Muslims, 7-26-2017. Among the Muslims present were Hamza Yusuf, center, and Washington area Imam Muhammad Majid, second from left. Those who want to give Yusuf the benefit of the doubt are still left asking why he does stuff like this, as obviously inappropriate as it is. The answer is provided in an earlier article: the “Sunni” Islamic movement is so encumbered with the Umayyad tradition that it has not been able to step out of the financial gravity of the rich and powerful. When it comes to Shi‘is, Hamza Yusuf only seems to work with them if they can add value and prestige to Zaytuna. One would think that the Covenants of the Prophet would add both. Thus, he invited Seyyed Hossein Nasr to speak there and endorsed one of his books. He also seems to accept donations from Shi‘i Muslims, but does not tolerate their views. In this sense, both Yusuf and Nasr seem to represent what might be called “Corporate Islam,” whereas the Covenants Initiative is more grassroots. As far as I am concerned, the proponents of the Covenants of the Prophet not only talk the talk but walk the walk, and hold ourselves and our communities accountable. As I have stated on other occasions, a label is like a tattoo, and I do not like tattoos. Consequently, I am very careful about the way I present myself. I am a human being first and foremost as there is no religion that takes precedence over humanity. Since my religion is Islam, and I submit to the will of the Creator, I am a Muslim. Since I was fortunate enough to learn Islam from Sunni, Shi‘i, and Sufi scholars, along with non-Muslim academics, I am not a shortsighted or one-sided Muslim. I am broadminded and multipolar. Just like there are attorneys who can practice law in two states or in two countries, I am perfectly capable of operating within the framework of the various schools of jurisprudence. This does not mean that I speak from both sides of my mouth. This does not mean that I am a Shi‘i who is pretending to be a Sunni or a Sunni who is pretending to be a Shi‘i. I am what I am and Allah (swt) knows what I am. If somebody has a problem with that, then that is their problem — not mine. Unlike others, I can have various frames of reference. Shi‘ah-phobia aside, sources also reveal other reasons for Shaykh Hamza’s antipathy toward my person: hub al-dunya or the love of this worldly life. Considering that he has reportedly received millions of dollars from the Turkish government, my attacks against ISIS and its financial, political, and military supporters pose serious problems. This is not a problem that is faced solely by Sunnis or Sufis. My denunciation of Saudi Arabian political sins is a source of annoyance to some Shi‘i scholars whose income depends, in part, on the lucrative trips that they organize to Makkah and Madinah for Hajj and ‘Umrah. According to them, I should be attacking Israel, and not Saudi Arabia. Of course, if they were profiting from tours to al-Masjid al-Aqsa, then they would also object to any of my attacks on Zionism. Since I am completely, totally, and utterly independent, I never consider the financial ramifications of my message for “he who funds you, owns you.” Only Allah (swt) owns my soul. The final reason that the Greek guru attempts to impede my efforts is the most troubling of all, “He is jealous of you,” admitted a man from his inner circle. As the leader of a secretive and highly influential Sufi tariqah has stated, “Hamza Yusuf has accomplished a great deal; however, on the spiritual, social, and personal side, he still has a lot of growing up to do.” If this is the case, then may God guide him and help him to grow, and may God make him independent of domestic, foreign, and global forces, the neocons, the deep state, and the cabal of billionaire elitists, the so-called “secret masters of the world” who have largely co-opted Sufism for strategic reasons. The Covenants of the Prophet Muhammad with the Christians of the World is one of the most critically-acclaimed works of scholarship of our generation. The work has been praised by Pope Francis, Patriarch Bartholomew, Patriarch Theophilos III, the Holy Council of Fathers from Mount Sinai, along with scores of cardinals, archbishops, bishops, priests, ministers, and monks. The work has been endorsed by the Islamic Society of North America, al-Azhar University, and the Grand Muftis from the Muslim world. The book has received the blessings of countless Muslim clerics, some of whom are senior scholars who were responsible for teaching and propping up Hamza Yusuf in the first place. Some of these Muslim leaders have expressed their astonishment that their prodigal son would fail them in such a fashion. The scholarly tome has also been extremely well-received in academia. Whether Mark Hanson likes my personality or my looks should not matter. Whether I am a Sunni, Shi‘i, or a Sufi, or all of them simultaneously should not matter either, nor should it matter that I speak the truth and stand with the truth. What matters is the Covenants of the Prophet. What is more, I take no credit for any of “my” accomplishments. There is no “my” and there is no “I.” There is only “Thy.” Thy Kingdom come. Thy will be done. Allah First and Last. Allah One and All. When I was offered an ISNA Interfaith Leadership Award, I did not accept it on my behalf, I accepted on behalf of the Prophet Muhammad (pbuh). Allah (swt) is worthy of all praise and Muhammad is worthy of all blessings. My scholarship was merely the medium through which the message was manifested. The Covenants of the Prophet have been present for over 1,400 years. 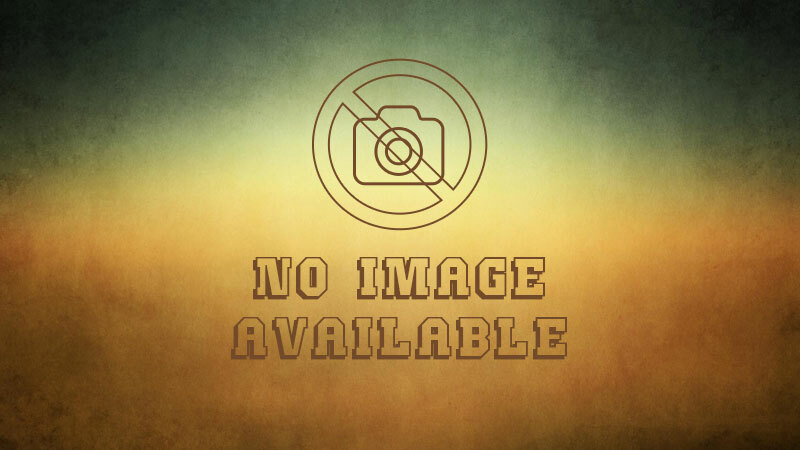 I have simply helped popularize them. Why, then, would the Emirati-trained eminence refuse to give me a voice when I am simply sharing the teachings of the Messenger of Allah (pbuh)? Let him exclude me, if he wishes, for personal petty issues; however, let him provide a podium to other scholars who believe in the letters, treaties, and covenants of the Prophet (pbuh). He can banish me because of my beliefs; however, how can he, in good faith, banish the Messenger of Allah (pbuh)? 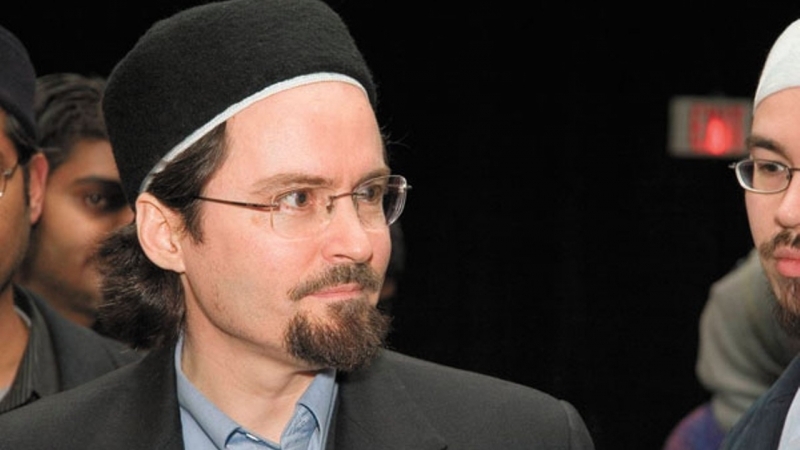 I call Shaykh Hamza Yusuf to the Covenants of the Prophet (pbuh). I call Shaykh Hamza Yusuf to reconciliation, brotherhood, and friendship, failing which I challenge Shaykh Hamza Yusuf to a televised public debate, held on neutral ground, before a neutral audience, and moderated by an impartial personality, on the authenticity of the Covenants of the Prophet Muhammad with the People of the Book. 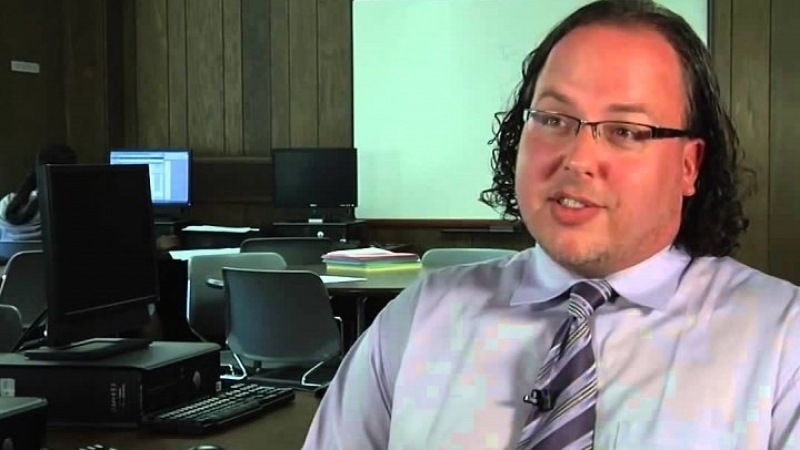 Dr. John Andrew Morrow (Imam Ilyas Islam) is a Muslim scholar, author, and activist. 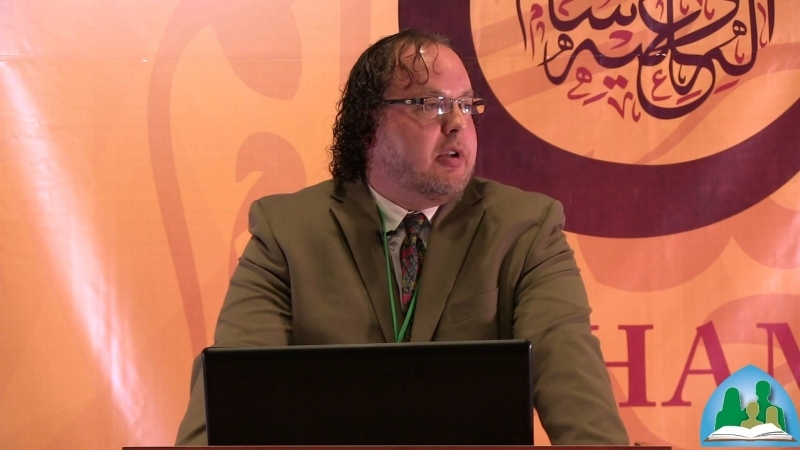 He is the Editor-in-Chief of Islam and the People of the Book: Critical Studies on the Covenants of the Prophet (2017), a three-volume encyclopedic work on the letters, treaties, and covenants of Muhammad, the Messenger of Allah (pbuh). Bani Qaynuqa‘, Bani al-Nadir, and Bani Qurayzah back in Madinah!